Based on the Spanish/Portuguese shape and construction, these mandolins have a robust tone and exceptional volume. 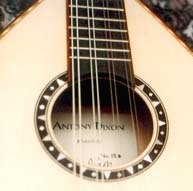 If you want a mandolin which will not be drowned out by your guitarist friends, these are for you. 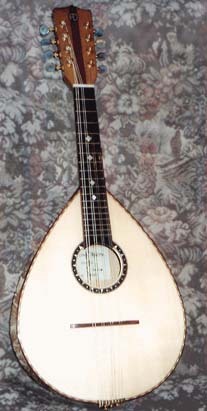 You can buy a ready-made one (see Instruments Available NOW) or have one specially built from the woods of your choice. 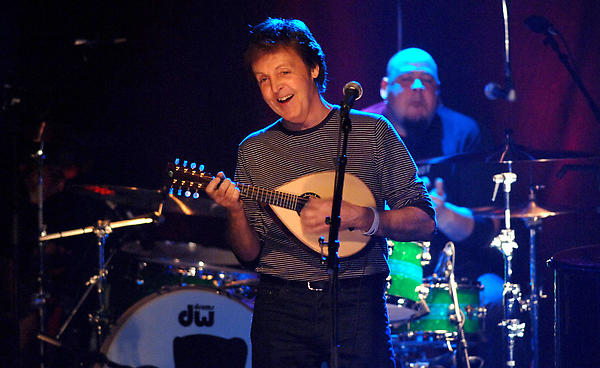 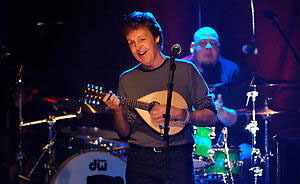 Here's a pair of left-handed mandolins bought by Paul McCartney from Hobgoblin Music in London. 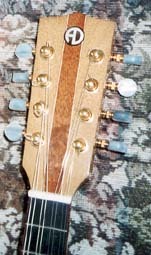 European spruce soundboards with English walnut and cocobolo rosewood back and sides respectively. 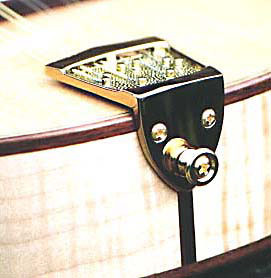 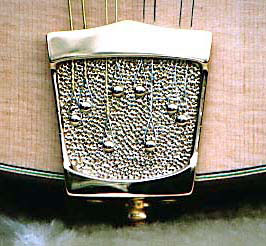 This is Antony's tailpiece, which he has specially made to his own design, (cast in brass and gold or nickel plated).